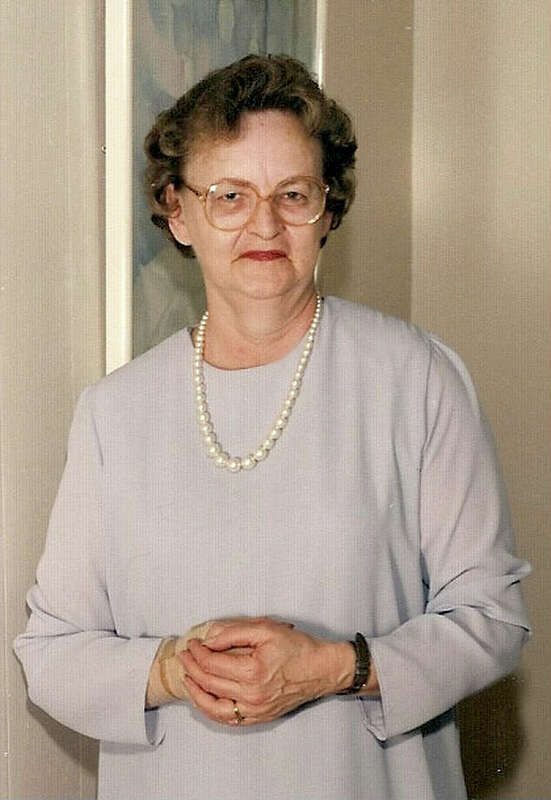 Doris Jean Neverdousky Riebe, 78, of Southport, wife of the late Alfred J. Riebe, died Feb. 2 in Bridgeport Hospital. Born in Bridgeport in 1932, she was the daughter of the late Victoria and Peter Neverdousky. A graduate of Roger Ludlowe High School in 1950, she was a life-long Fairfield resident. She enjoyed knitting, cooking, crafting and caring for animals, and was a breeder of cocker spaniels. Survivors include six children, Laura Strang of Bridgeport, Lorraine Bruni, and her husband, James, of Fairfield, William Riebe, and his wife, Darlene, of Milford, Judy Warner, and her husband, Matthew, of Fairfield, Robert Riebe of Southport and David Riebe of Stratford; nine grandchildren, Laurie Korchman, Billy and Jason Riebe, Ryan, Rachael, Andrew and Michael Stein, Matthew and Mark Warner; a great-grandchild, Justin Riebe; a sister, Joan, and her husband, Dr. James Roach, and nieces and nephews. Funeral services took place last week in St. Pius X Church. Private burial will be planned for a later date in St. Thomas Cemetery. Memorial donations may be directed to the American Diabetes Association, P.O. Box 2680, North Canton, OH 44720. To sign an online guest register, visit www.LeskoPolkeFuneralHome.com.